A warming massage mask that nourishes and revitalizes the skin for a glowing, smooth complexion. 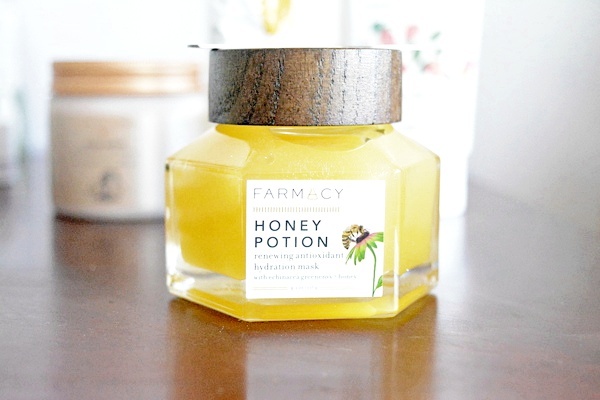 Honey potion is excellent for Dryness - Fine lines and wrinkles - Dullness and uneven skin tone. This hydrating mask features an intensely moisturizing combination of honey a natural humectant used since ancient times, propolis found in beehives, and amino acid-rich royal jelly; this mask enhances the skin for a younger appearance. A unique, patent-protected variant of Echinacea Purpurea, GreenEnvy contains the highest known concentration of the phytochemical cichoric acid potent, a natural antioxidant that enhances the hydrating and purifying benefits of honey. The balm gently warms and transforms into a rich cream as it's massaged into the skin for an indulgent experience. 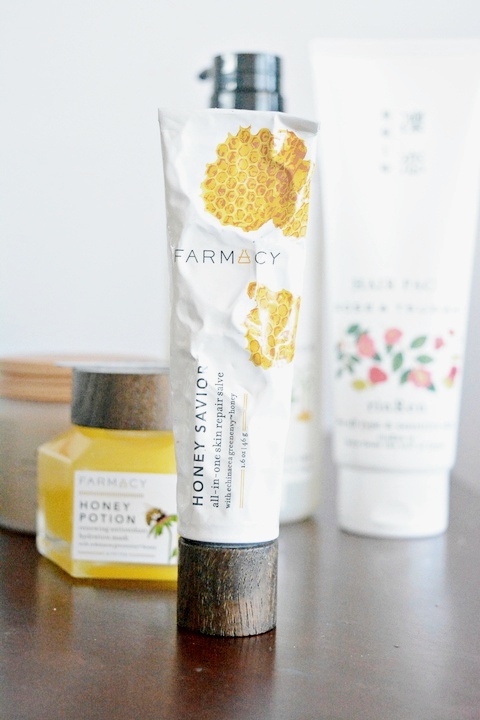 Honey Potion is formulated without Parabens - Sulfates - Phthalates. Echinacea GreenEnvy honey is full of potent, natural antioxidants, and is made only by bees that live on Farmacys farm and pollinate the Echinacea GreenEnvy flowers. 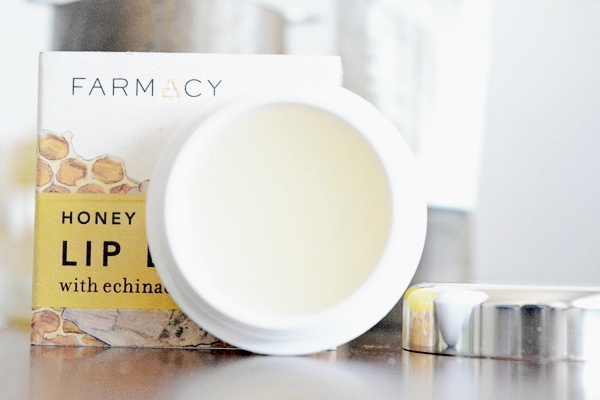 Save dry skin head-to-toe with this multipurpose honey salve! It’s made locally sourced honey to repair extra-dry skin and help soothe minor irritations gently. Hands, cuticles, lips, elbows, legs, and feet Honey Savior is also best at calming sunburns, taming flyaways and mix with makeup for a bright glow. Pucker up with Farmacy Lip Bloom; this herb-infused lip balm moisturizes your lips with gorgeous gloss! Lip Bloom replenish moisture and form a protective barrier on the lips, leaving them smoother, softer and fuller. Castor seed oil glides on as a glossy, plant-based protective film that helps preserve natural hydration levels. Sunflower seed oil helps maintain lip’s natural barrier function with emollients derived from essential fatty acids. 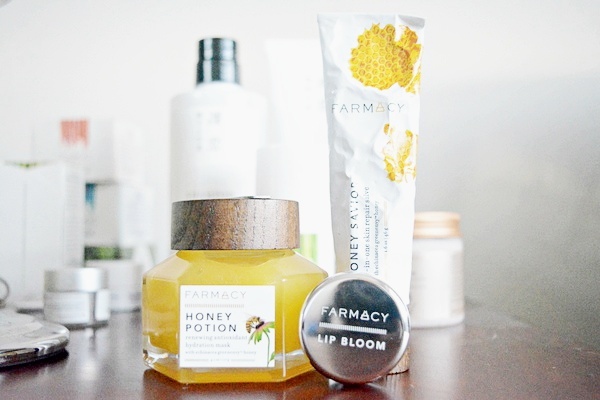 Have you tried any products from Farmacy Beauty?